Anyone who has updated their kitchen appliances or planned a new kitchen will know the frustrations involved in sizing a refrigerator. Dimensions and recommended enclosure size for specific models can be difficult to find even on the manufacturer’s websites. Sorting through hundreds or even thousands of PDF files to try to find the fridge models that are right for your kitchen can be a daunting task. It also makes most of the best refrigerator lists rather useless, since the best refrigerators are the ones that fit your kitchen, and dimensions are almost never covered in reviews! These are the problems that FridgeDimensions.com was created to provide solutions for. Here you can find refrigerator models from many manufacturers, with readily accessible dimensions and enclosure recommendations. Our dimensions search will even allow you to find which refrigerators will fit into the space requirements of your specific installation! Just enter the dimensions of the enclosure the fridge will be installed in and click “Search”. Within seconds you’ll have a list of hundreds of models from many different manufacturers, all rated for compatibility with your specifications in regards to the refrigerator’s dimensions and recommended clearances! There are enough refrigerators out there that finding one that fits your kitchen layout is enough to make your head spin! Here you can find fridges from every brand with their listed dimensions to help you choose the best refrigerator for your kitchen. 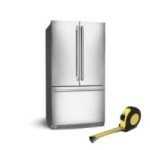 Even once you have found a resource like FridgeDimensions.com it can be difficult to know just what you are looking for. There are several standard sizes of refrigerators, and the delineation between the groups can be fuzzy in many cases. The main categories of refrigerator sizes are standard (or full), counter-depth, industrial (often built-in), under-counter, compact, and mini fridges. There are also some specialty and novelty refrigerators like wine refrigerators that may not fit into any of those standard categories. Federal standards consider any refrigerator with 7.75 cubic feet of capacity or more as a mid or full sized refrigerator. 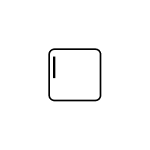 We add the Counter-Depth size category to that. For purposes of Energy Star and CEE Tier ratings, Compact refrigerators are defined as those which have less than 7.75 cubic feet of capacity. This definition of Compact includes Mini Fridges and even USB fridges. Here on FridgeDimensions.com we break these categories up because there are significant differences in how they are marketed as well as their size and feature set. A refrigerator is one of the most integral appliances in any home. Finding the perfect fridge to fit your kitchen and your lifestyle shouldn’t be so difficult. FridgeDimensions.com is here to help! 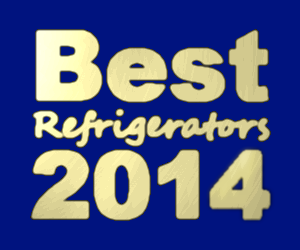 These are the most commonly used refrigerators. Don’t let the “standard” moniker fool you though, as they are nothing but standardized. 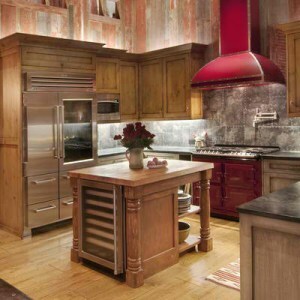 Standard fridges can vary tremendously both in dimensions and installation types. Of course styles and features vary a lot as well. Finding the right standard refrigerator can be quite a chore given just how many makes and models there are to choose from. 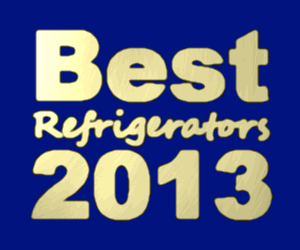 Usually vintage and retro refrigerators fit into this category. 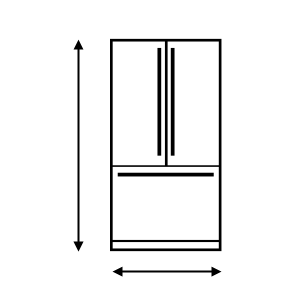 What are Standard Dimensions of Refrigerators? 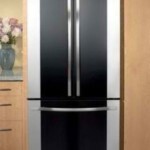 What is the perfect size refrigerator for you kitchen? How can you plan a kitchen layout that will keep your options open rather than limit you to just a handful of compatible refrigerators? If you are pondering such questions, then this is the guide for you! 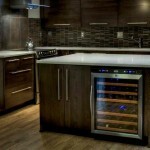 Counter depth refrigerators are becoming more and more common in modern kitchens. They generally differ from their standard counterparts in depth, with the other dimensions being much the same. 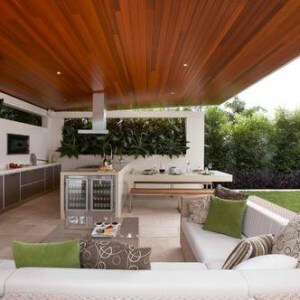 These refrigerators are meant to be flush with the counter-tops and cabinets they are installed next to, thus the name. However, as counter-tops vary in depth, so too do counter-depth fridges. This can make finding the right counter-depth refrigerator much more difficult, especially if you have custom counter-tops that aren’t standard sizes. Refrigerators in this category are meant to be installed in cabinetry, as the name would suggest, this is usually under the counter-top. In some rare cases you may find under-counter fridges installed in other configurations. Care should be taken if designing a kitchen for an “under-counter” fridge as much like other sizes of built-in refrigerators they have very exacting requirements for enclosure spaces. These refrigerators often look much the same as their standard or counter-depth siblings, only in a smaller package. Compact fridges are more common in areas where electricity is at a premium, and tend to be cheaper and less well-made than the larger and more expensive refrigerators. It can be very confusing to find refrigerators at the deliniation between compact and mini fridges due to overlapping dimensions and inconsistencies in labeling by manufacturers and retailers. Mini fridges actually have the largest variation in style and size of any of the refrigerator size categories. 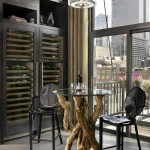 These refrigerators include micro, USB fridges, portable coolers, counter-top fridges, and even decorative antiques. Due to space concerns, these refrigerators are best used in apartments and student housing, as well as cabins, hotel rooms, and RVs. Finding a Mini Fridge is No Small Task! Mini fridges are about as diverse in size as all other refrigerator sizes combined. This category of appliances covers micro refrigerators big enough to store a single can of soda, all the way up to small refrigerators for apartments and dorm rooms.